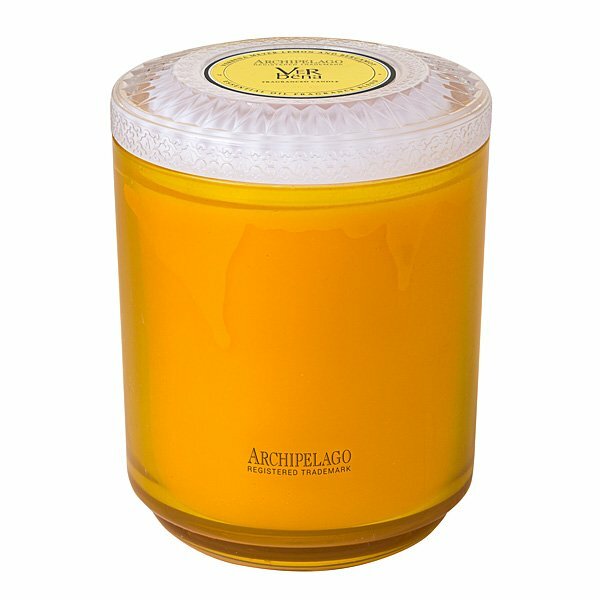 Archipelago Verbena Couleur Glass Candle is lemon verbena, bergamot, meyer lemon and green tea making this room spray a perfect addition to your kitchen! Welcome the colors of the coming season with this new collection from Archipelago! Top selling fragrances, each available in your choice of candles, room fragrance or gift boxed diffusers adorned with elegant, cut glass tops!